From waterfowl to big game, we're all about getting out there. If fall's your favorite season, or camo's your favorite color, you might just be our kind of people. Whether you're into shooting targets or bringing home a freezer worth of meat, we've got what you're looking for. Make sure to check out CAMO for the whole family, too! Guns and ammunition are currently only available in-store at Smith & Edwards. Please give us a call at 801-731-1120 and ask for the Gun Counter for all your reloading, ammo, and gun needs. 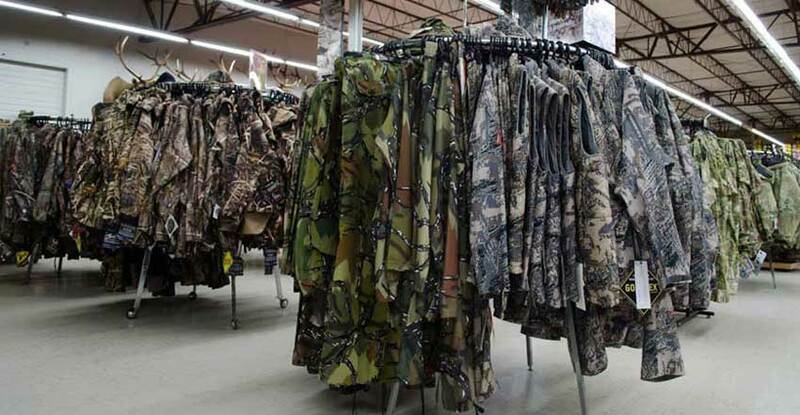 Click here to check out our FULL range of Hunting Gear - and there's always more in-store at Smith & Edwards in Ogden, UT off I-15 at exit 351. 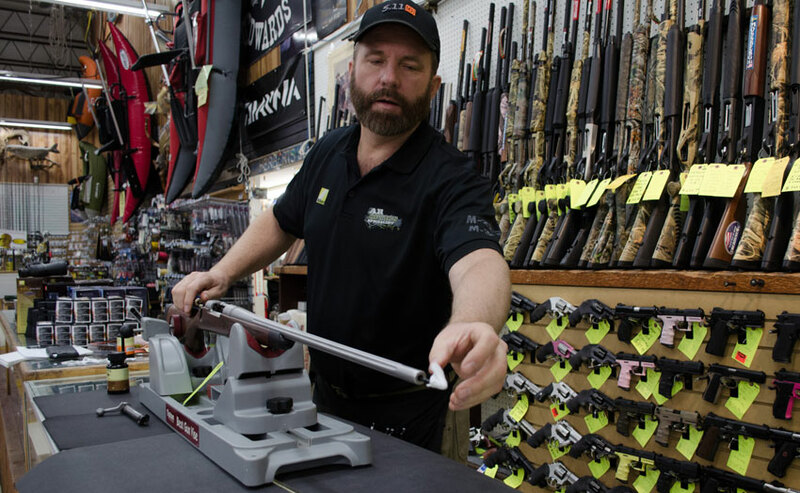 Come on in to our store by Willard Bay to check out our guns and ammunition in person. You can call 801-731-1120 to make sure we've got your ammo in-stock. We're restocking all the time! You'll find a huge variety of guns for sale here at Smith and Edwards. Come into our Utah gun store to inspect them yourself - we're getting new inventory all the time! And while we do know our guns, that's not all you'll find. You'll discover a unique selection of the finest shooting supplies and hunting supplies: scopes, hunting apparel, personal defense, camouflage, and reloading and cleaning equipment. 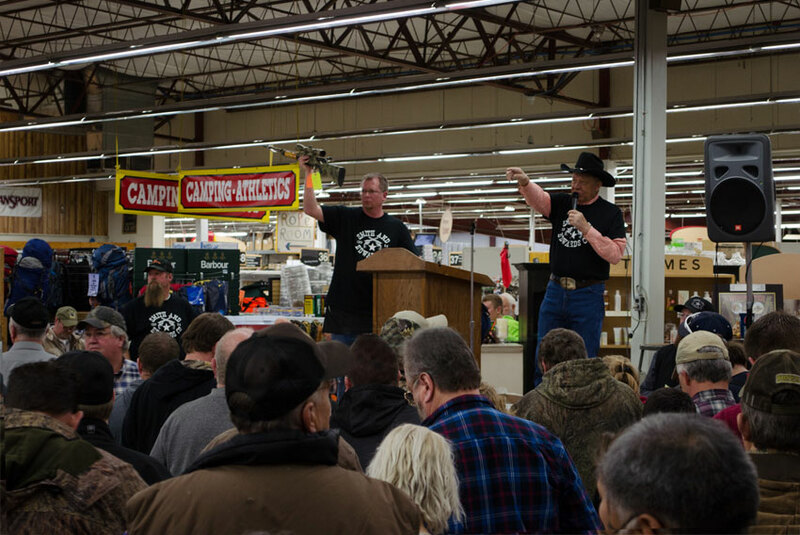 Sure, we've got Utah hunting licenses in-store - click here! Of course, we're the source for all the ammunition you're looking for, too. From 9mm ammunition to specialized ammo, think of Smith and Edwards. The experienced staff is here to help you make the most of your shopping experience, feel free to give us a call at 801-731-1120. Mike has been with Smith & Edwards for over 20 years. When he's not in the store, he's probably hiking, camping (the Uintas are his favorite) or testing the latest handgun or rifle.